To grasp fully the unity, twists and turns of the Caribbean Community (CARICOM) on “the situation in Venezuelaâ at the Organisation of American States (OAS) some background on the OAS and CARICOM is necessary and desirable. First, it has to be appreciated that the OAS has been, and remains, seized of the “situation in Venezuelaâ. The Caribbean Community (CARICOM) at the level of the Heads of State and Government is also seized of the matter, though naturally the Ambassadors and Foreign Ministers of the Member-States of CARICOM are involved in the process of shaping the regionâs policy on “the issue of Venezuelaâ. All CARICOM member states are members of the OAS, which comprises all independent countries of the Western Hemisphere except Cuba. It is vital to recognize that the OAS is governed by a Charter which respects the equality of states, without qualification, within its hemispheric umbrella. Among the “Objectives of the Communityâ as outlined in Article 6 of the Revised Treaty of Chaguaramas Establishing the Caribbean Community Including the CARICOM Single Market and Economy of 2001 (hereafter “the Treatyâ) is that of enhanced coordination of Member Statesâ foreign and [foreign] economic policies. Article 12 of the Treaty provides explicitly that: (i) The Conference of Heads shall be the supreme Organ of the Community; and (ii) the Conference shall determine and provide policy direction for the Community.â The Conference of Heads, according to Article 28 of the Treaty, “shall take decisions by an affirmative vote of all its members and such decisions shall be binding.â Abstentions shall not be construed as impairing the validity of decisions of the Conference of Heads provided that Member States constituting three-quarters of the membership of the Community, vote in favour of such decisions. An omission by a Member State to participate in the vote shall be deemed an abstention. On Monday, May 29, 2017, a Heads of Government Conference was convened, by video conferencing, to consider “the situation in Venezuelaâ. On the agenda were two draft declarations for the Headsâ consideration: (i) A draft on recommendation from a video conference of CARICOMâs Foreign Ministers on Saturday, May 27, 2017; (ii) a draft presented on behalf of St Vincent and the Grenadines by its Prime Minister. It is to be noted that the basis of the Foreign Ministersâ draft was that which had been crafted by the government of Peru, at the OAS, with support from the USA, Canada, Mexico, Brazil, Argentina, Colombia, and Panama, among others. The Peru draft was “interventionistâ in its overall tone and particulars. The CARICOM Foreign Ministersâ recommendation to CARICOM Heads muted some of the harsher aspects of the Peru draft but it did not sufficiently stress “non-interventionâ and “non-interferenceâ in another Stateâs internal affairs; it also did not address aloft the defence of a Stateâs sovereignty and independence; and it offered possible “Trojan Horseâ opportunities for unwarranted interference and intervention in some of its formulations. St Vincent and the Grenadines was not at the CARICOM Foreign Ministersâ Meeting on May 27, 2017. Both Sir Louis Straker, St Vincent and the Grenadinesâ Foreign Minister, and I were overseas at the time. The Foreign Ministersâ meeting had been hastily summoned; neither Sir Louis nor I knew of the meeting. On my return to St Vincent and the Grenadines, mid-morning on Monday, May 29, 2017, I found out about the Foreign Ministersâ recommendation and the proposed Headsâ meeting on that very Monday at 5 p.m. I was dissatisfied with the Foreign Ministersâ draft and thus swiftly crafted a St Vincent and the Grenadines draft as an alternative. I promptly sent the St Vincent and the Grenadines Draft to the CARICOM Secretary General and my colleague Heads of State and Government of CARICOM. I was actually quite surprised at the tone and some of the particulars in the Foreign Ministersâ recommendation given their own strong non-interventionist statements on the very subject a week earlier at their meeting in Barbados. At the Headsâ Meeting, which lasted roughly five hours, a consensus was fashioned and embodied in a Heads of Government Declaration which was to be put to the OAS Foreign Ministers meeting of the OAS in Washington on Wednesday May 31, 2017. This Headsâ Declaration gave prominence to “non-intervention and non-interferenceâ; defended a stateâs sovereignty and independence; emphasized the Venezuelan peopleâs right to sort out their problems by themselves; accorded due regard to representative democracy, the rule of law, and the constitutional process; called for an end to the violence and for constructive dialogue; offered CARICOMâs “good officesâ facilitation; and avoided Trojan Horse opportunities for intervention on the grounds of “humanitarian assistanceâ and/or considerations of “human rightsâ. Unfortunately, when the CARICOM Secretariat circulated the clean copy of the Headsâ Declaration in its Savingram, it added a rider that this Declaration was to be used for further discussion/negotiation with non-CARICOM member-states of the OAS for a possible consensus at the OAS Foreign Ministersâ meeting scheduled for Washington on May 31, 2017. There was never any such “riderâ agreed upon by the Headsâ meeting. Subsequently, CARICOMâs Secretary General informed me, orally, that that was his understanding. Clearly, he was mistaken. In any event, any variation or amendment by CARICOM Foreign Ministers and/or Ambassadors has to return to the Heads-in-Conference for ratification. After all, decisions of the Heads of CARICOM are binding and cannot be altered other than by the Heads themselves collectively. At the OAS Foreign Ministersâ Consultation in Washington on May 31, 2016, CARICOM Foreign Ministers and Ambassadors held together and stood behind the CARICOM Headsâ Declaration. In the process, the Peru Draft was rebuffed. CARICOMâs unity prevailed to the benefit of our region and hemisphere. But even amidst CARICOMâs unity, some governments were wobbling. From North and South America, the hegemons, interventionists, and those who thirst for Venezuelaâs oil and natural gas, were already at work cajoling, pressuring, and even appealing to the vainglory of some in CARICOM to abandon the Declaration of CARICOM Heads. St Vincent and the Grenadines, among some other CARICOM Member States, remained faithful to, and unequivocally firm on, the Declaration of the CARICOM Heads. Even before the OAS Foreign Ministers gathered at the OAS General Assembly in Cancun, Mexico, on June 19 â 21, 2017, some CARICOM governments had already buckled, for whatever reason, and departed from the Headsâ Declaration. That fact promoted me to write to the Heads of State and Government of CARICOM a letter on the very subject on Friday, June 16, 2017. This was my third letter on “the situation in Venezuelaâ which I was writing. I had hitherto penned letters to my colleague Heads on May 10, 2017 (before the CARICOM Foreign Ministers meeting on May 17 â 19, 2017 in Barbados) and on June 01, 2017, (immediately after the OAS Consultative gathering on May 31, 2017). My three letters show the firm and consistent position of the government of St Vincent and the Grenadines, well-grounded in enduring principles of international law and inter-State relations in the interest of our country, our region and hemisphere. At the OAS General Assembly in Mexico (June 19 â 21, 2017), some CARICOM governments negotiated a revised draft text, ostensibly marrying the Headsâ Declaration and the original Peru Draft. These very CARICOM governments and Peru then presented to the OAS General Assembly this new text purporting to be a hemisphere consensus. St Vincent and the Grenadines had absolutely nothing to do with this exercise; it did not meet St Vincent and the Grenadinesâ and the CARICOM Headsâ tests on this issue. 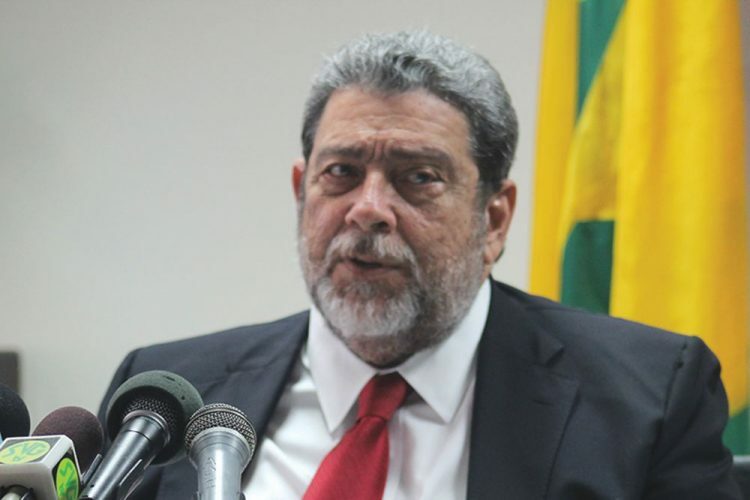 So, St Vincent and the Grenadinesâ representative at the OAS General Assembly, Camillo Gonsalves (Minister Straker was in Europe on official business), tabled on behalf of St Vincent and the Grenadines the Declaration of the CARICOM Heads. In other words, while some CARICOM countries negotiated away the Heads Declaration, St Vincent and the Grenadines remained faithful to it. In the upshot, the amended Peru Draft obtained, as shown by open voting, the affirmative support of six CARICOM countries (Barbados, Bahamas, Belize, Guyana, Jamaica, and St Lucia). It did not receive the affirmative support of the other eight CARICOM Member States: Three opposed (Dominica, St Kitts-Nevis, and St Vincent and the Grenadines); five abstained (Antigua-Barbuda, Grenada, Haiti, Suriname, and Trinidad and Tobago). “The CARICOM Sixâ were in the company of 14 other hemispheric countries including the USA, Canada, Mexico, Brazil, Argentina, Peru, Colombia and Panama. They did not secure the requisite 23 votes (two-thirds) under the OAS Charter for any actionable declaration. The St Vincent and the Grenadines draft (the CARICOM Headsâ Declaration) also did not obtain the requisite majority. But support for a possible “Trojan Horseâ intervention in Venezuela had been averted. At no time did St Vincent and the Grenadines move away from what the CARICOM Heads had agreed upon at their meeting of May 29, 2017! Since the OAS Summit in Cancun, Mexico, efforts are still afoot by some who are itching to intervene in Venezuela, contrary to international law and the settled principles of inter-state relations. St Vincent and the Grenadines will continue its dignified defence of the enduring principles of international law and will provide no support to those who are intent on an unwarranted trampling on another countryâs sovereignty and independence. To be sure, Venezuela faces severe internal political conflicts and challenge. Peace and constructive dialogue are the sane, mature answers. We must not play with fire in our hemisphere; and we must avoid a rush to “regime changeâ outside of the constitutional processes. Tragedy awaits all who play with fire in Venezuela! It does not matter the vitriol and dishonest outbursts directed at St Vincent and the Grenadines and its government by those with ignoble agendas, our small country, with the heritage of Chatoyer and our principled stance, will not bend or break!